Shutter Island is the movie I chose to analyse because it is related to Schizophrenia and is a very tense thriller. The ending is very surprising and has themes of identity. The font is very bold and simple, this is very effective. There is a metallic effect on the text and there are string instruments used for tension. 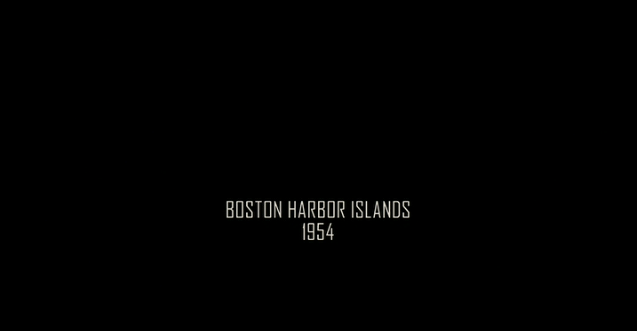 The title Shutter Island is the name of the island in the movie, there is also a book of the same name. The title introduces the setting and time to the audience which helps establish the atmosphere. You can hear waves in the background that gives the audience an idea of where they are being shown before the picture appears. The ship fades in from fog giving the location a secluded gloomy looking background, the colour is quite blue like a normal Thriller would be. We are introduced to Teddy Daniels who is throwing up in the bathroom showing us immediately that he has weaknesses. He looks in the mirror taken from the theme of identity and mirroring himself, raising the question of who he is. There are chains rattling together in the foreground as we see him through a door, he is partly obscured from us as we do not yet know his identity. He speaks to himself in the mirror revealing his name and giving himself a pep talk. He tells himself it’s just water showing us a weakness straight away, him coming to the island in the first place provides no escape and a location he is unfamiliar with. He looks outside, the light is fairly natural but has probably been brightened as it would most likely be too dimly lit. His clothing is set in the time the film is set adding to setting. The setting of a boat is a place you would find common today making it relatable but the fogginess of the setting would be strange to most audiences. There are more chains as he exits the room and the blue is still very visible.The rocking of the boat is highlighted by the swinging chains and the noise made by them. A pan follows him through the room to the door outside, we go from a long shot to a close up / mid shot as we get to know him better and he becomes less of a stranger. We see his partner through a chain link fence and as he reaches him we see his clothes are quite old fashioned, we can tell they are American because of the style of dress, the actor cast and the accent. The men are unfamiliar with each other as he is a new partner. We learn more about them as they introduce each other. The music in the film often sounds like a boat horn and the ever present waves help establish it is an island. There is a shot of his wife which has significantly more colour than the previous ones, which are brighter making us feel like all the colour has been drained by her loss. This shot shows they become more comfortable with each other. They discuss their assignment casually and outline the basics of the film. The island is very mysterious because of it’s shadowy colours and foggy terrain. The music is very simple but sounds very loud and abrupt. The island is introduced as a mental hospital which may provoke images in the audience.